Consulting Plant Professionals to help is often more cost effective than a trial-and-error approach. An indoor plant service can help you select the ideal plants for your space and pair them with planters that enhance your existing décor. Better still, a service can perform regular maintenance and even replace plants that aren’t looking their best. This leaves you free to do what you do best: run your home or business. Sometimes, it’s all about extra detail. Freshen up your living space with the addition of interior plants. Interior plant installations have the ability to make a plain home exciting and much more comfortable. 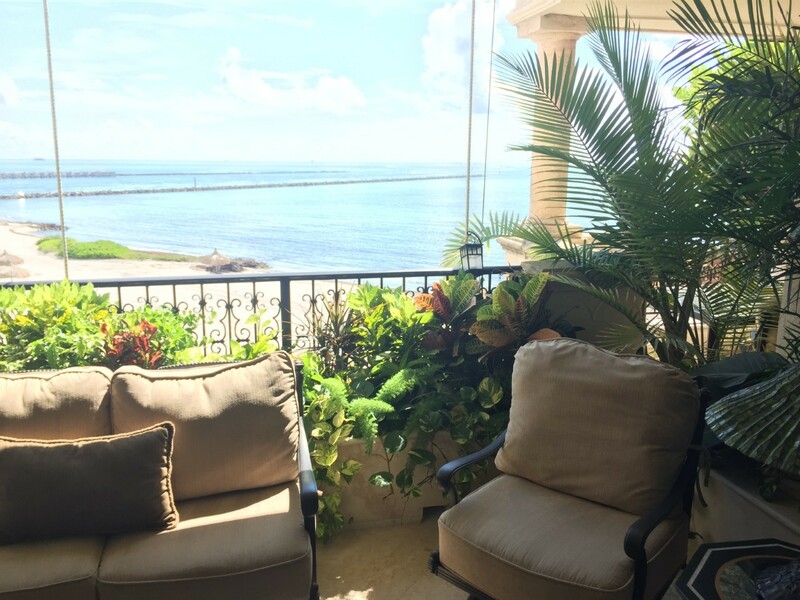 If you’re considering installation of houseplants in South Florida, Plant Professionals has all the tools and expertise necessary to flush out your living space. Not only do houseplant installations increase the aesthetic value of your home, but they also provide numerous health benefits. Live plants regularly recycle air, making for easier breathing and a more comfortable atmosphere.Plants in the home and workspace are also commonly linked with increased productivity and task performance. 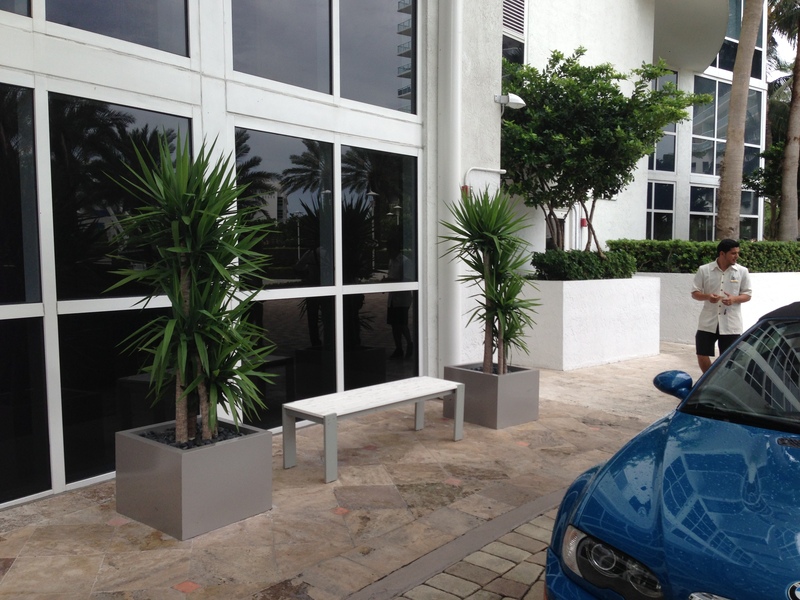 Our team can assist in transforming your residential or commercial space utilizing lush and exotic foliage matched to modern and stylish containers. In our complementary consultation we take time to understand our client’s needs and ensure that the design will complement your interior environment and enhance the productivity and energy within. So, what are you waiting for? Contact us today for your complimentary quote! Green walls are in, and you don’t need a single drop of paint to make a bold statement! 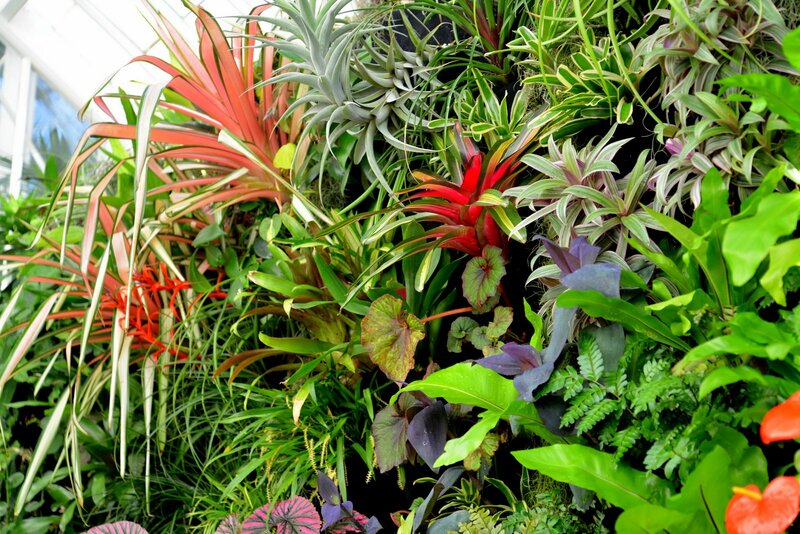 Living walls create an exotic and refreshing look that clients, visitors, and residents will love. The addition of an indoor plant wall adds a lush layer of style, and it brings additional benefits too. There are several practical reasons to incorporate plants into any interior design. Creating lush arrangements on wall space maximizes the advantages by making room for more plants without cramping the floor plan. The health benefits are as valuable as the visual statement. Many kinds of indoor plants regulate air temperature and humidity in a space. Plants are natural air purifiers that process carbon dioxide and create oxygen. Plants can reduce airborne dust as well as certain pollutants like benzene and nitrogen dioxide. Plants can enhance the acoustics of a noisy environment by absorbing some of the sounds. Traditional walls bounce racket back into a room and create audio pollution. Scientific research suggests the presence of plants can increase focus and attention span. This makes plant walls the perfect solution for anywhere you or your employees want to be productive. The LEED (Leadership in Energy and Environmental Design) building certification program awards points for living walls. This adds value by demonstrating a commitment to sustainability and environmental friendliness. 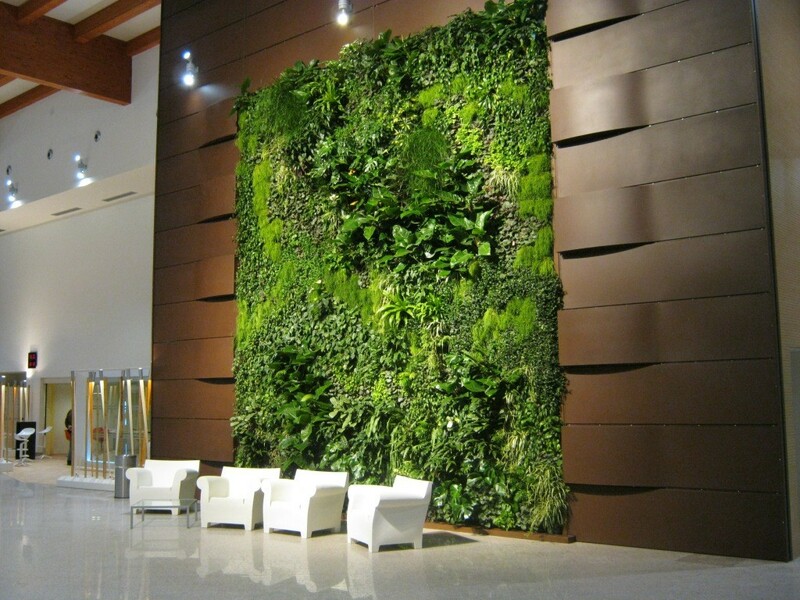 The tasteful elegance of a green wall can modernize the look of a building quickly. The unique aesthetic helps a property’s worth swell. The hustle and bustle of modern life can become stressful even in beautiful Florida. Find sanctuary by including soothing natural elements when you design your space. 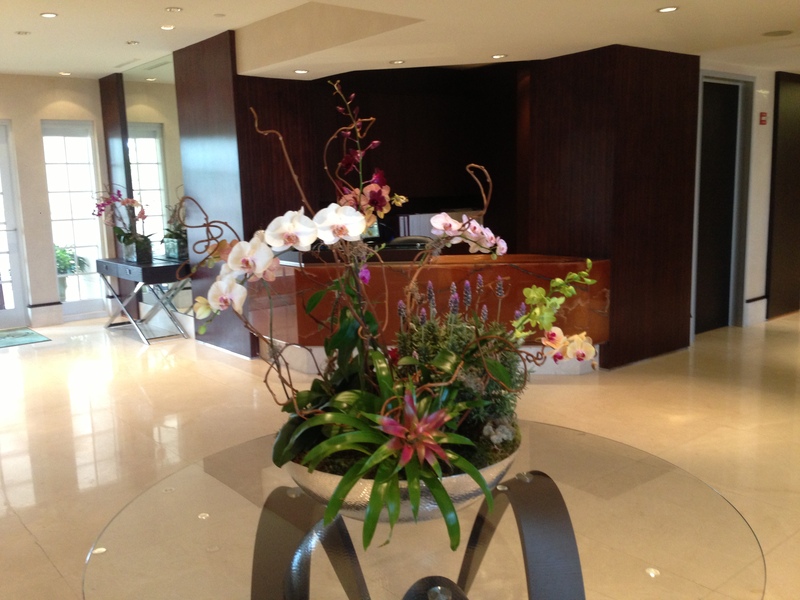 Plant Professionals has years of experience with both interior design and plant selection. With assistance, you can sculpt a look to balance hard and soft landscaping. Well-balanced styles can both calm the senses and invigorate the mind simultaneously. Vertical garden planters exist where botany meets interior design and construction. A vertical skeleton stacks planters instead of displaying them horizontally. 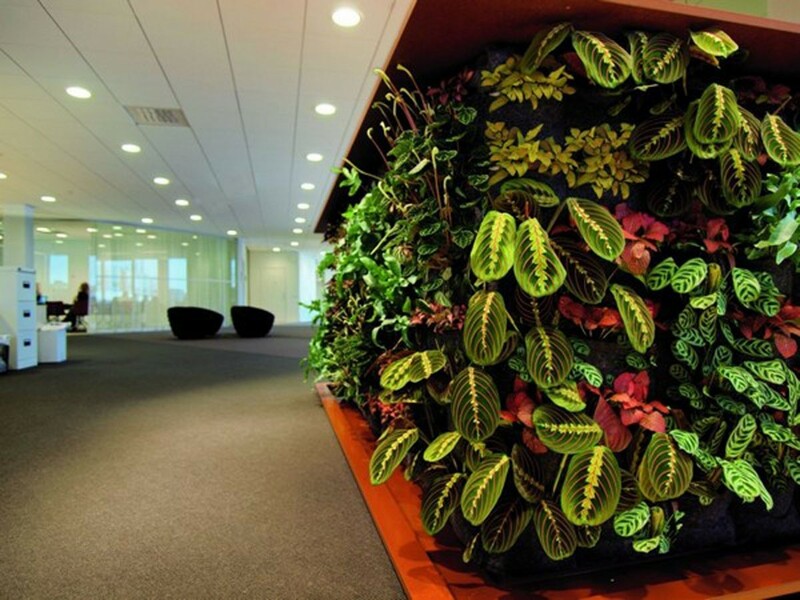 A thick arrangement of plants and flowers protrude from the system to create the appearance of foliage growing straight out of the wall. Some vertical planters include self-watering technology, while others must be watered by hand. 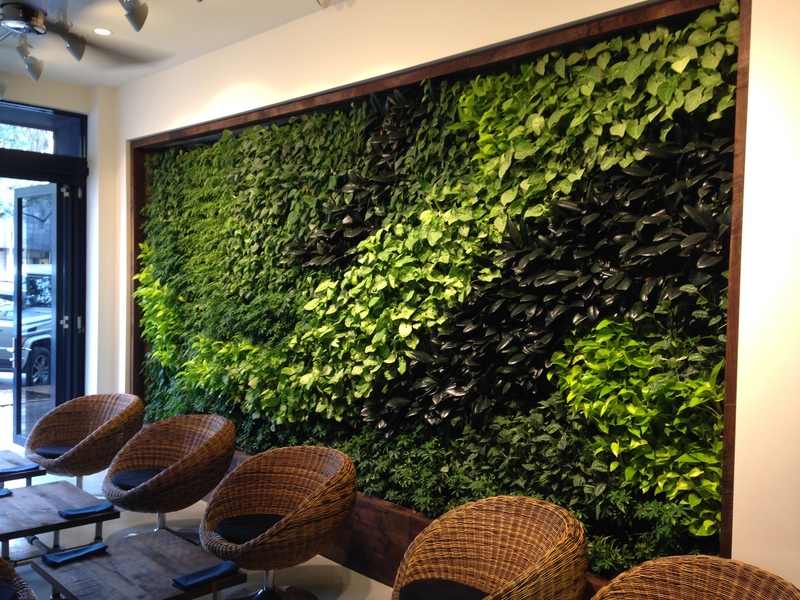 Plant Professionals has experience with every stage of green wall creation. Trained landscaping professionals can design the look, execute the installation, and maintain the finished product. Reach out online, by phone, or in person to learn more or request an estimate. Plant features are becoming wildly popular in modern interior design. This is especially true for professional spaces like hotels or corporate lobbies. 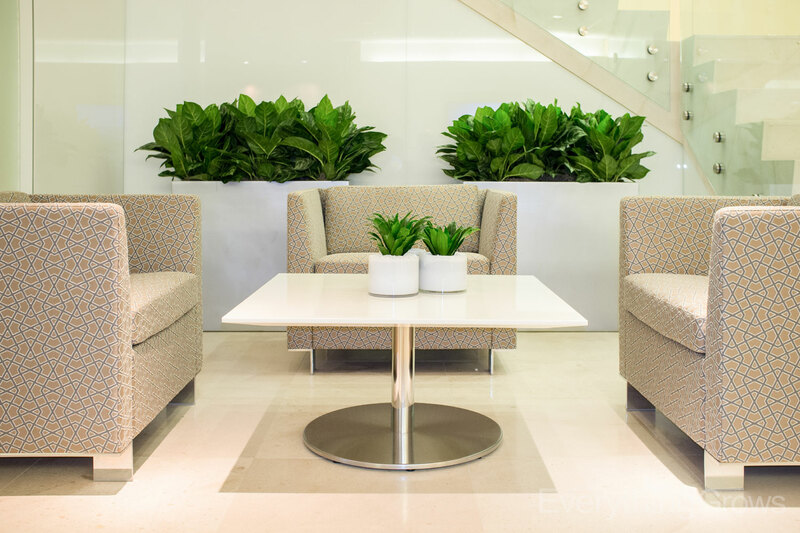 Lobby plants make space seem fresh, exciting and comfortable. Guests and workers alike will feel more relaxed and will feel better about spending time in a place that’s tastefully adorned with plants. 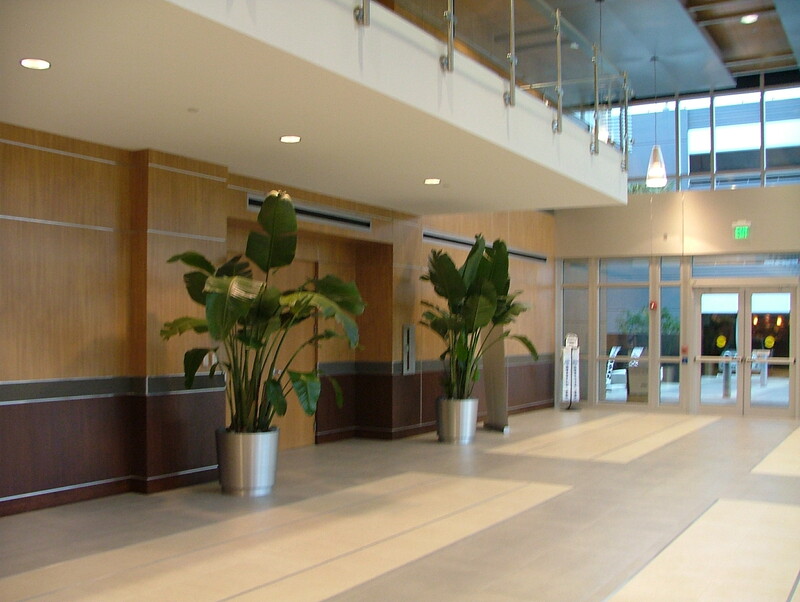 Lobby or hotel plants must match the existing décor to have the best effect. Some clients come to us after years of trying different things themselves. After countless failed projects and dollars wasted, they decide to hire a professional landscape design team. Get it right the first time by consulting an indoor plant service to select the perfect plants for your space. We start by assessing your current design scheme to ensure all planters and fixtures enhance your style. 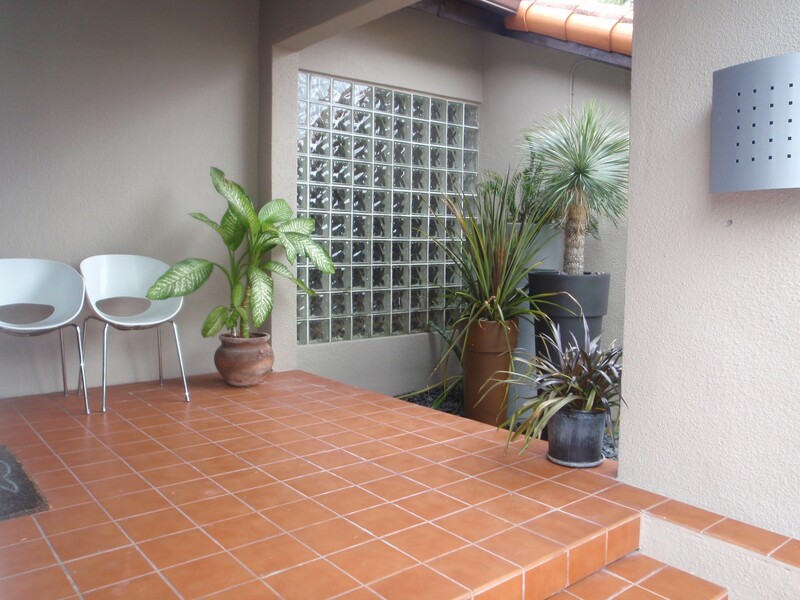 We guarantee that the plants we choose will look great and provide other benefits as well. Psychological studies have shown the effects plants can have on reducing stress and creating a relaxing environment. This is especially useful in professional settings and hotels where people may be traveling for business. Plants can offer a space excellent physical benefits as well. 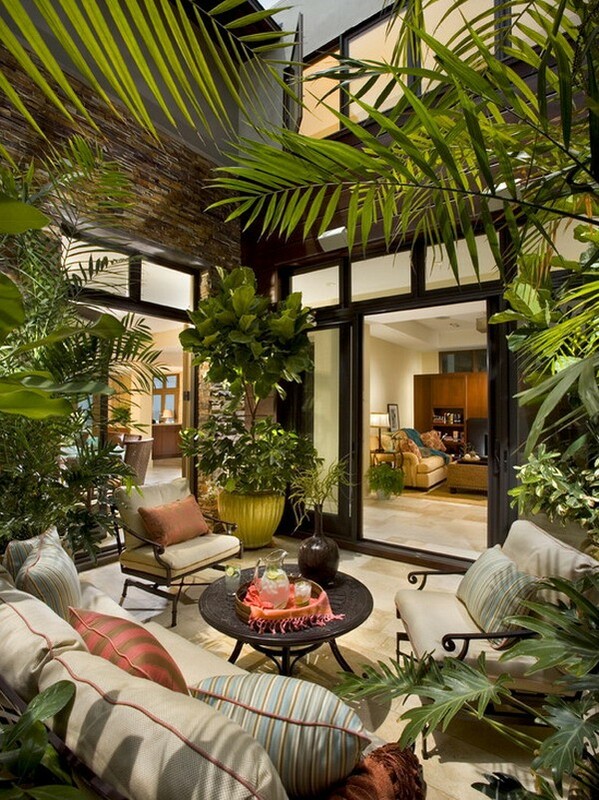 Carefully placed plants divide a room to create private areas and an aura of coziness. When you include plants in your interior design, it is a great way to reduce noise pollution because plants naturally absorb sound. Some species of plants even work to purify the air and measurably increase oxygen levels. 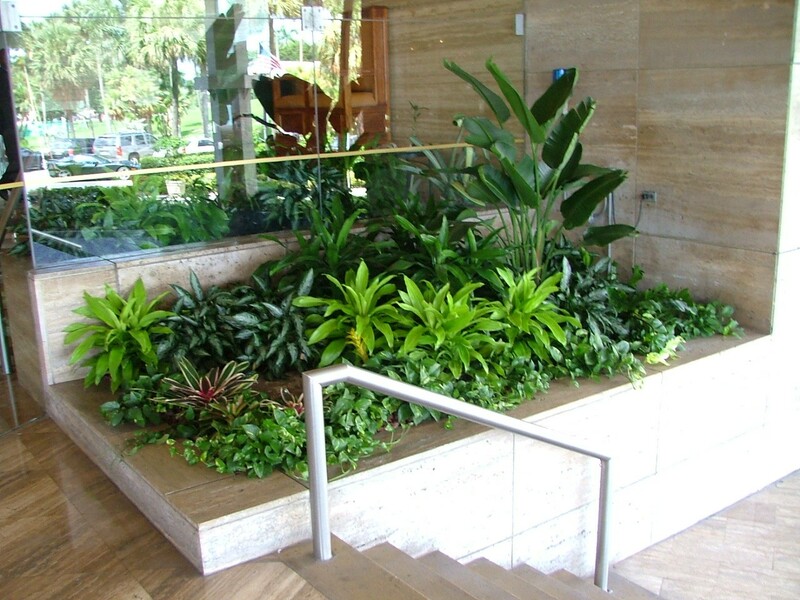 Interior plants are excellent because they’re a living artistic statement that creates a welcoming environment. The only downside is that living things need care and attention. The great news is that Plant Professionals can perform regular maintenance to make sure all the plants continue to look their best. If some of your plants start to lose their luster, we’ll replace them with new ones. Our years of experience and unique approach enable us to provide creative solutions to all kinds of needs. We are proud to employ experienced professionals who work well under various budgetary and design restrictions. 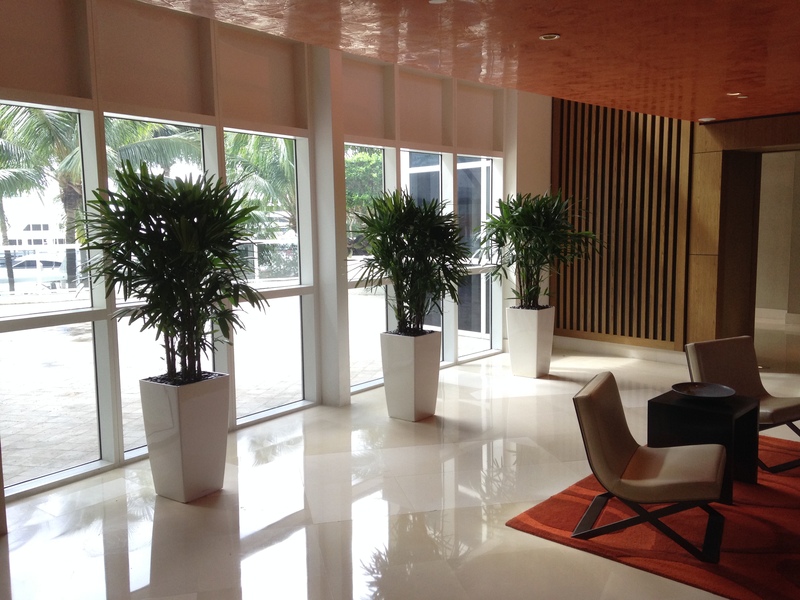 Your lobby will be in good hands from start to finish because we manage the project ourselves all the way from design to installation and beyond. Contact us today to request an estimate, and let us show you what we can do. Finding excellent home or office plants goes a long way towards creating a better living or work environment. More and more companies are choosing to incorporate living design features to create a soothing atmosphere. 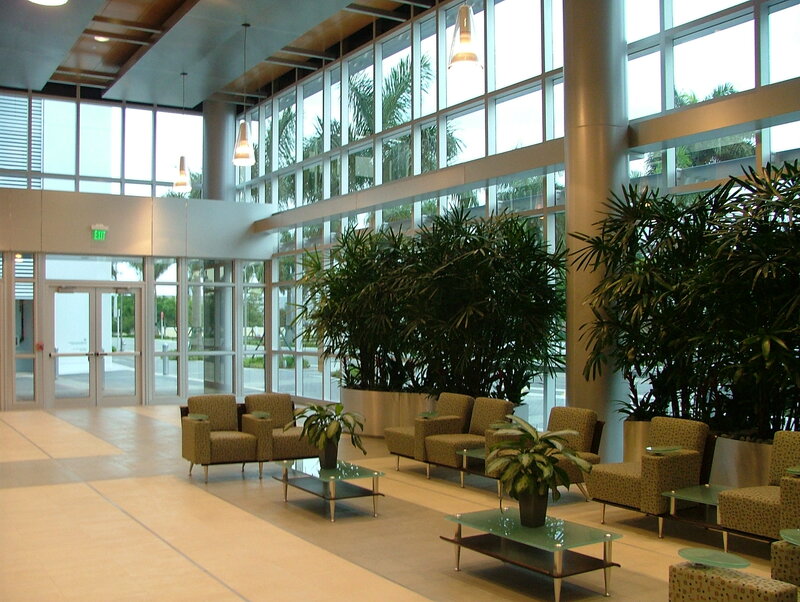 Going to work every day can be stressful, but high-quality interior landscaping benefits a workplace in several ways. Most people add plants to their home or office because flowering plants are beautiful. We spend so much time at work that we might as well make our days as peaceful and comfortable as possible. Lush interior design features reduce stress to create a more pleasant atmosphere. The aesthetic appeal boosts morale, productivity, and creativity. Studies indicate that the presence of plants improves health and increases focus. Your employees may even see an increase in sales. Plants can do more than just provide psychological benefits and a more attractive workspace. A landscaping professional can help you select plants that increase oxygen levels in areas with many people. NASA research confirms that plants remove as many as 87% of harmful particles from the air. Interior plants absorb sound to help with noise pollution as well as chemical pollutants. You’ll see the most benefit for your work area and employees if you choose plants that are especially great for purifying the air. Consult with a professional landscaper to find out which species of plants will improve your workspace or home the most. Some plants also work better in different buildings from a design perspective. 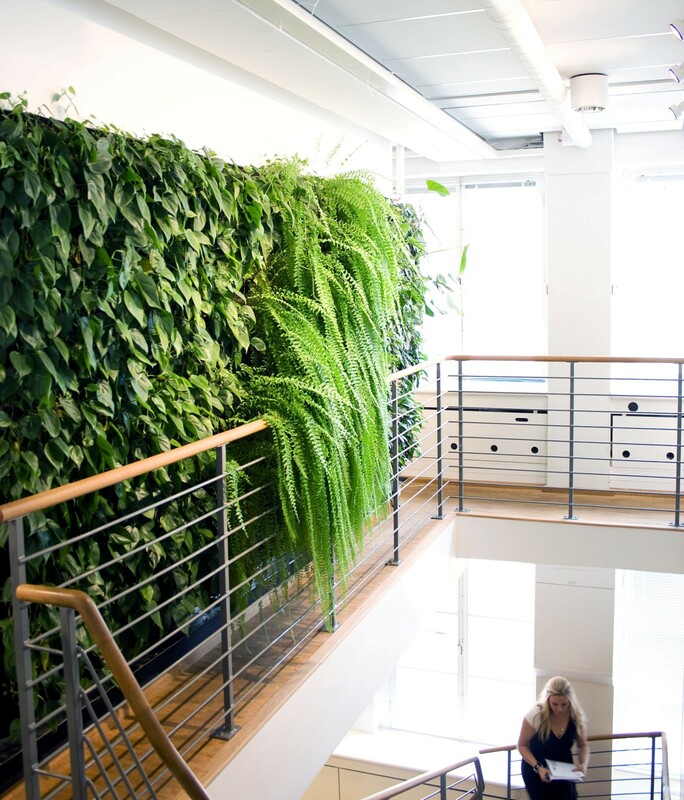 Some offices are perfect opportunities for living walls or vertical gardens. Other spaces are better suited for floor plants. Simple potted arrangements can give a pop of life to conference tables or reception areas. Professional interior landscape designers will be able to identify the right plants for your needs by considering both health benefits and an aesthetic approach. An excellent indoor plant service will select planters and pots that supplement your existing design scheme. 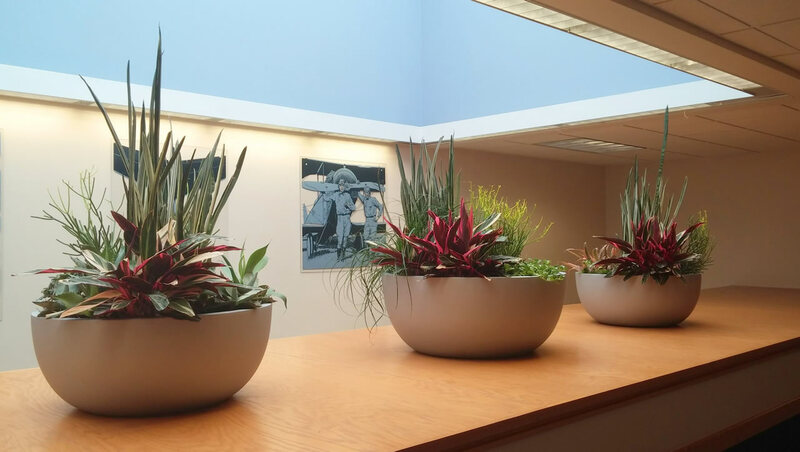 Contact Plant Professionals to request a quote for your office or home plant design. Our experience with both landscaping and design makes us the perfect choice for an artistic display at home or in the office. Our professionals handle every aspect of the project from design ideation to final installation, so your vision won’t get lost in translation along the way. We’ll even maintain the display with ongoing service to make sure everything looks as perfect as the day we installed it. Talk to us about your needs, and we’ll respond with a quality estimate before we get to work.